It is always a pleasure to meet runners who come to do tours with us again. This was the case this August with Kristine with whom we had already made two visits of Paris, ~8 km in 2014 (remember: “Place des Victoires” with Kristine) and ~20 km in 2017. 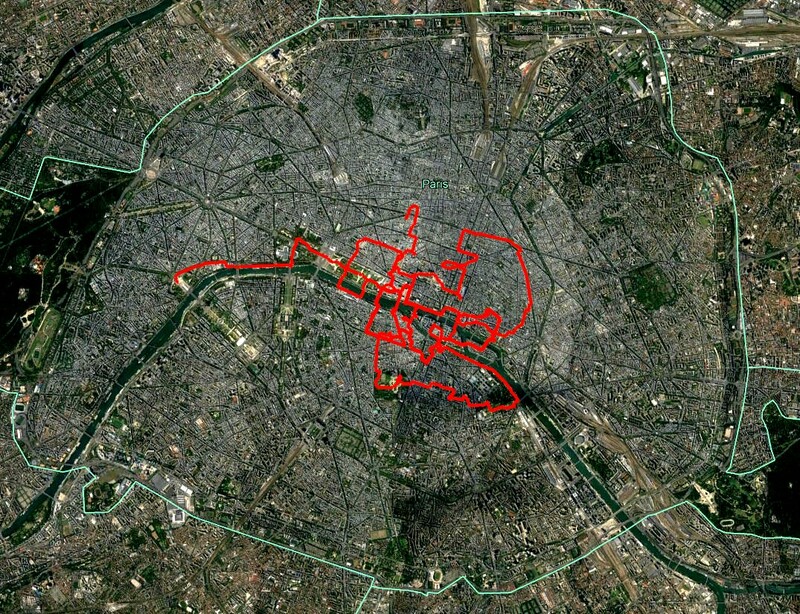 This time, we did a 9 km tour following new running routes in Paris. 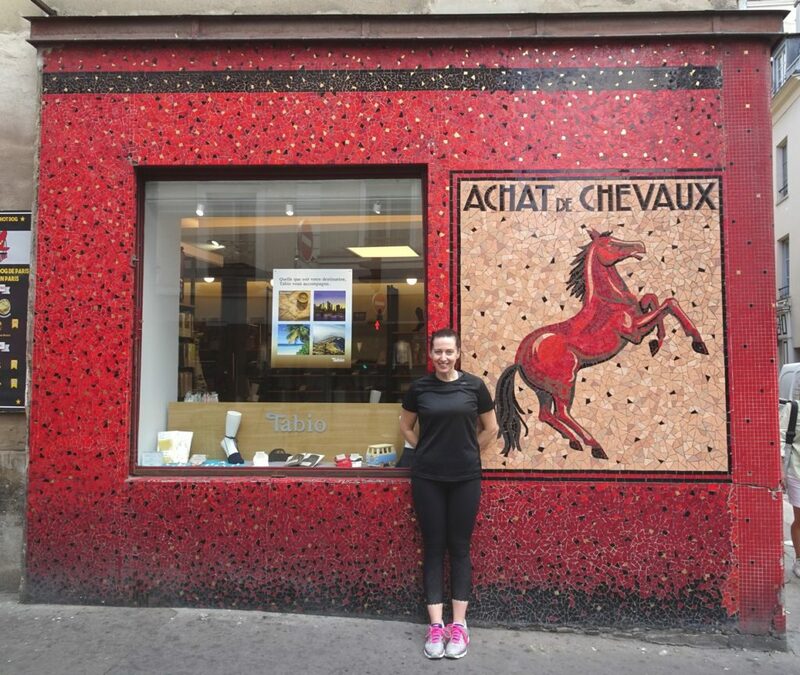 Paris Running tours makes you discover new places each time (it is the advantage to know Paris by heart ). For example, we stopped in front of what was the home of the artist Serge Gainsbourg. 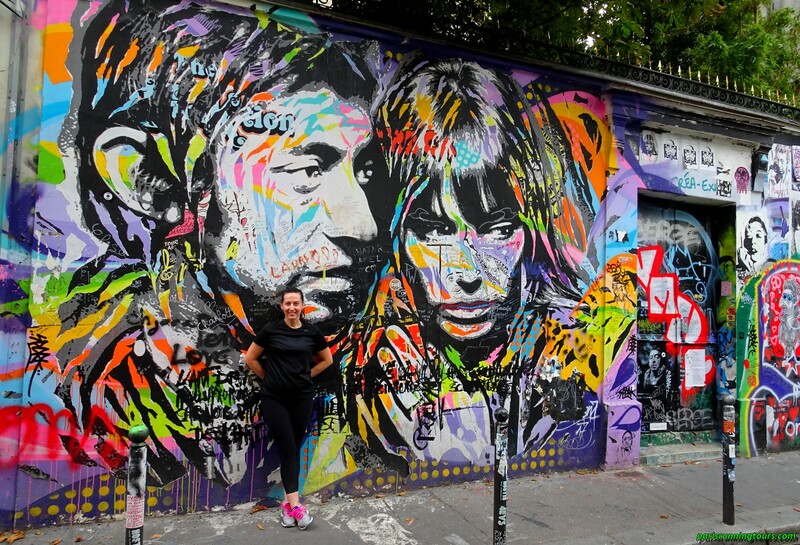 Some “graffiti artists” regularly come to pay their tribute to the singer-poet, here, above, with a fresco representing him with Jane Birkin. As we passed Saint Germain des Près, in front of the Faculty of Medicine on rue des Saints-Pères, we stopped to observe the various medallions on the façade. They represent every imaginable method of healing, from the most esoteric to the most scientific, for example, below, exorcism! Two days later, Kristine asked us to do a walking tour. She wished that Pauline, whom she accompanied, could enjoy a cultural stroll in Paris with Paris Running Tours. Thank you so much Kristine! Thank you so much Pauline!